A word from our sponsors: WestoshaMarket open Wednesday 3-7:30 p.m. The new WestoshaMarket continues its regular schedule this week. WestoshaMarket is open Wednesdays, through Aug. 26, from 3 to 7:30 p.m., 21010 75th Street in Bristol (Highway 50, 3/4 mile west of Highway 45). Click here for more information, including vendors and musical highlights. Kenosha Common Markets, Inc., operator of Kenosha HarborMarket, is seeking vendors for the new WestoshaMarket being held in Bristol. Vendors may apply for any number of dates, from one to all nine. First year booth fees are $25/date, or $200 for all nine days. 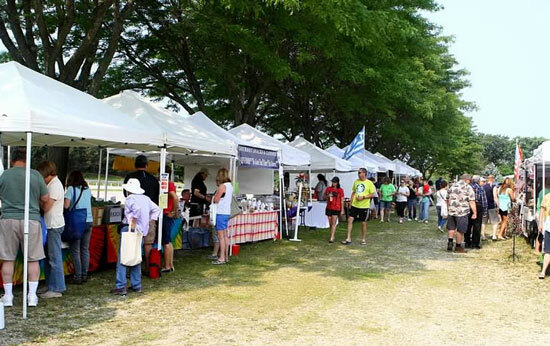 Vendor categories include fresh, local farm products, prepared foods, artisan goods, and services. There are also Nonprofit and Miscellaneous categories. For information, call Melanie Hovey at 262-496-3898. The WestoshaMarket application is available at www.kenoshaharbormarket.com.